CarGurus has 15,520 nationwide Corvette listings starting at $3,450. Several changes have been rolled out for the 2012 Chevrolet Corvette. The revisions include improved seats and steering wheel for all trims. Several options were also added, such as an upgraded Bose sound system for all trim levels, a new traction management system for the Z06 and optional Michelin Pilot Sport Cup tires for the top-of-the-line ZR1. 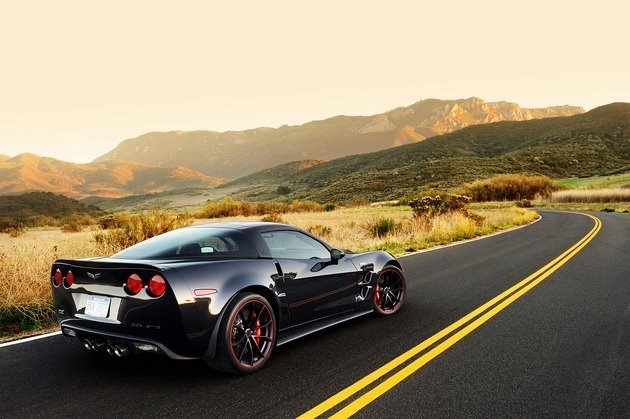 Six rear-wheel-drive trims are offered for the 2012 Chevrolet Corvette: Base, Base Convertible, Z16 GS, Z16 GS Convertible, Z06 and ZR1.The Base and GS (Grand Sport) trims come equipped with a 430-hp LS3 6.2-liter 16-valve V8 aluminum block engine married to a 6-speed manual transmission with launch control that achieves 424 lb-ft of torque. The Z06 trim comes from the factory with a 505-hp LS7 7.0-liter 16-valve V8 aluminum block engine paired with a 6-speed manual transmission with launch control that makes 470 lb-ft of torque. The ZR1 gets a 638-hp LS9 6.2-liter 16-valve V8 aluminum block engine with a 4-lobe Eaton Twin Vortices Series supercharger with intercooler and a 6-speed manual transmission with launch control that makes 604 lb-ft of torque. All Corvette trims runs on regular gas. Base trims are estimated by the EPA to get 16 mpg city/26 highway, while the Z06 gets 15/24 and the ZR1 gets 14/21. All trim levels of the 2012 Chevrolet Corvette come standard with dual-zone automatic climate control, cruise control, power door locks, power windows, variable-ratio power steering, tilting leather-wrapped steering wheel with mounted audio and cruise controls, leather seating surfaces, 6-way power adjustable seats, electrochromatic auto-dimming rear-view mirror, dual power adjustable heated exterior mirrors, remote keyless entry, remote keyless start, a 7-speaker audio system with AM/FM/CD/MP3 playback and Sirius XM satellite radio with a 3-month trial subscription, OnStar with Directions & Connections plan with a 6-month trial subscription, auxiliary audio input jack, vehicle antitheft system, rear window defogger, intermittent wipers, xenon HID automatic headlights, rear spoiler, wheel locks and 18-inch front and 19-inch rear 5-spoke silver-painted aluminum alloy wheels with performance run-flat tires. Convertible trims come with a manual convertible top that can be upgraded to a power-removable top, while the Z16 GS trim comes with a removable roof panel that can be upgraded to a transparent roof panel. For the Z06 trim, additional or upgraded standard equipment includes carbon-fiber front fenders, an aluminum frame with fixed-roof structure, a 9-speaker Bose premium audio system, Bluetooth wireless technology and 18-inch front and 19-inch rear 10-spoke silver-painted aluminum alloy wheels with performance run-flat tires. The ZR1 trim gets Brembo carbon fiber ceramic brakes, a 1-year trial subscription to Sirius XM and 19-inch front and 20-inch rear sterling-silver-painted aluminum alloy wheels with performance run-flat tires. Upgradeable options for all trims include a 6-speed paddle-shifting automatic transmission for Base and Z16 GS trims only, a GPS navigation system, power tilt-and-telescopic steering wheel, heated seats, perforated leather seating surfaces, 6-way power-adjustable seats with power lumbar support and sports seats with adjustable headrests. Not all upgrades can be had for all trims. Standard safety equipment for the 2012 Chevrolet Corvette includes frontal and side-impact driver and passenger airbags with passenger-sensing system, tire pressure monitoring system, automatic fog lamps, daytime running lights, 4-wheel disc brakes with antilock braking system, StabiliTrak electronic stability control system, active suspension system and a traction control system. With the number of customizable choices the 2012 Chevrolet Corvette offers (the Base and Z16 GS trims have four available sub-trims, while the Z06 and ZR1 each have two), Chevy’s luxury sports car can be configured in enough ways to keep even the most discerning car buyer happy. All trim levels offer plenty of handling and power that allows the Corvette to compete on a level or windy playing field with competing offerings from Porsche, Lotus, BMW and Mercedes-Benz, and generally at a slightly less expensive price. What's your take on the 2012 Chevrolet Corvette? Have you driven a 2012 Chevrolet Corvette? 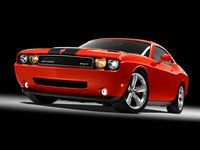 Will Car Gurus Photo And List My Car?